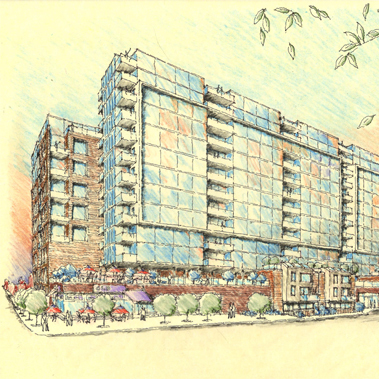 DKA principals worked closely with Emalfarb Developers to program and design a mixed-use development on a complete block of downtown Highland Park, Illinois. 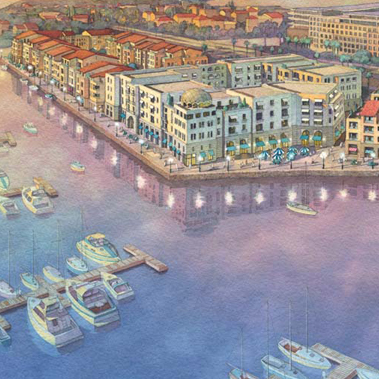 The development was spurred largely due to a new marina which is predicted to bring numerous vacationers to the northern Chicago suburb. 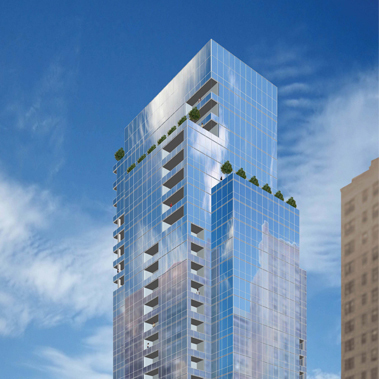 The glass box depicted on the renderings is the upper level of a proposed upscale restaurant which gained the interest of Michael Jordan as a potential investor. 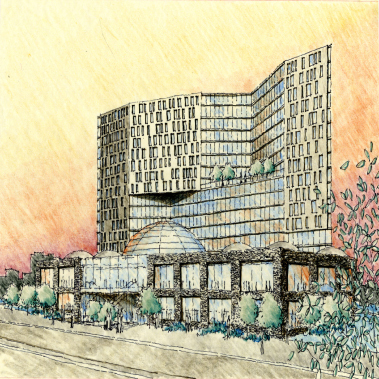 The development features a “main street” concept where vehicular and pedestrian traffic use a semi-private roadway and sidewalks for access to retail, a five star boutique hotel, offices, condominiums, and parking. 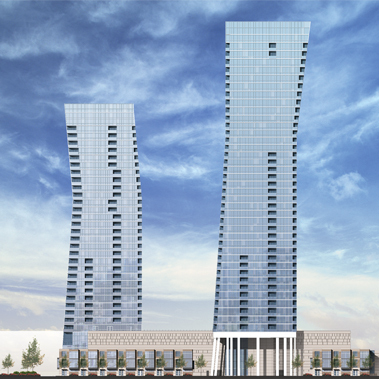 The buildings on the site are planned to be constructed to achieve a minimum of LEED Gold Certification and the overall project is being planned as a candidate to achieve LEED for Neighborhoods development.